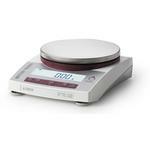 Accurate and reliable: METTLER TOLEDO guarantees accurate results for every weighing job. Compact design: Small footprint - ideal, when space is limited. The auxiliary display can be mounted on the balance easily. Back-lit display: The display on all jewelry balances guarantees that the results can be read easily and securely. Easy reading for you - and with an auxiliary display for your customers. 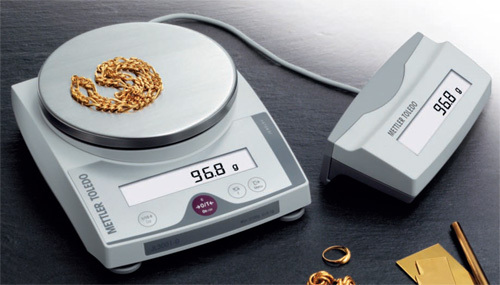 Only JL-G.
Built-in applications: All jewelry gold balances have several applications already included in the software: Basic weighing, piece counting and percent weighing. Legal For Trade: All balances are "Legal For Trade", also known as approved, which is required in applications where the product is sold by weight. All "Legal For Trade" balances have undergone independent testing to verify the scale meets the manufacturers specifications. For USA & other countries: A-Version. For Europe and selected countries: M-Version.